Beyond providing data for all 32 NFL teams, PFF also supports network broadcasters with game-preview packets that are used to enhance the in-game experience for fans and viewers. 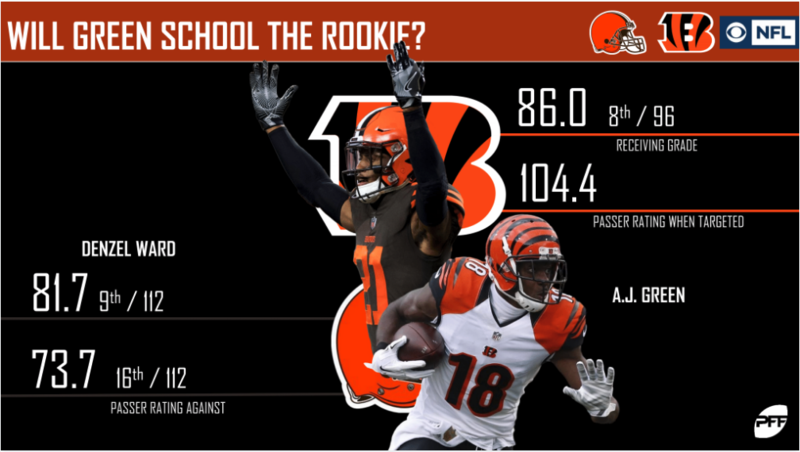 This Browns-Bengals preview features the same information our broadcast partners use for team research and in-game production. 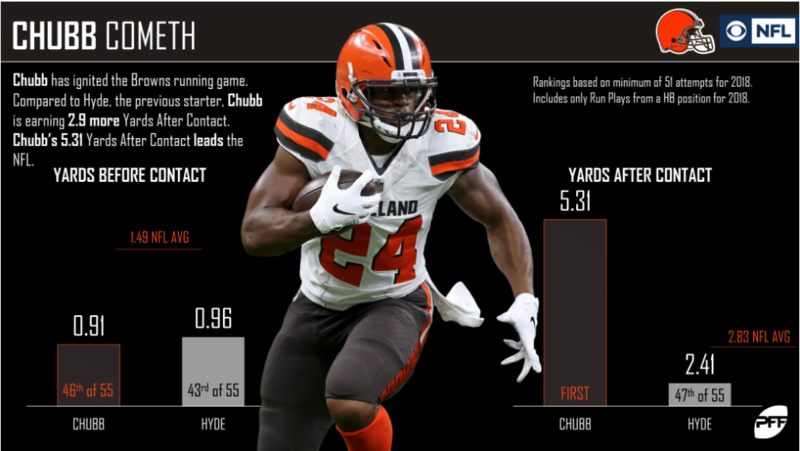 Rookie running back Nick Chubb has been dominant since taking over the starting job for the Browns. 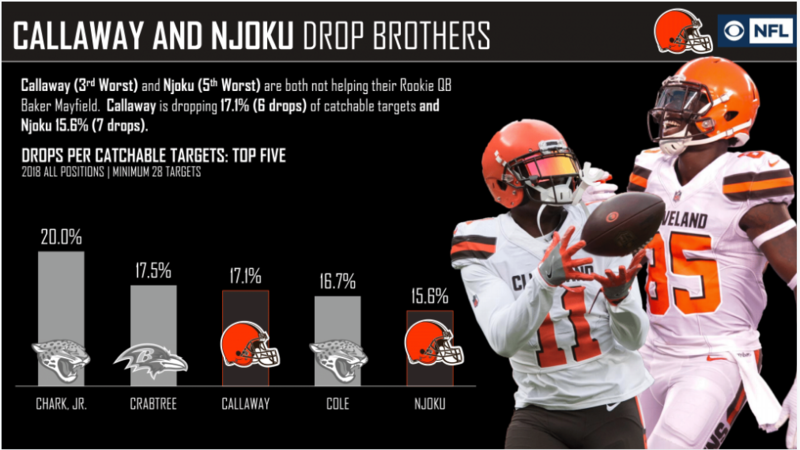 David Njoku and Antonio Callaway haven’t been helping their rookie quarterback out with their drops this season. 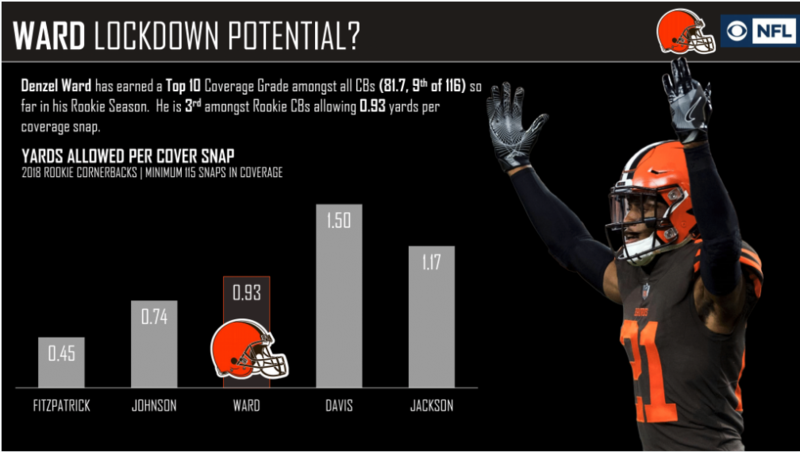 On the defensive side of the ball, rookie corner Denzel Ward has shown lockdown potential. His 77.7 grade is tied for the 13th-best among qualifying corners. 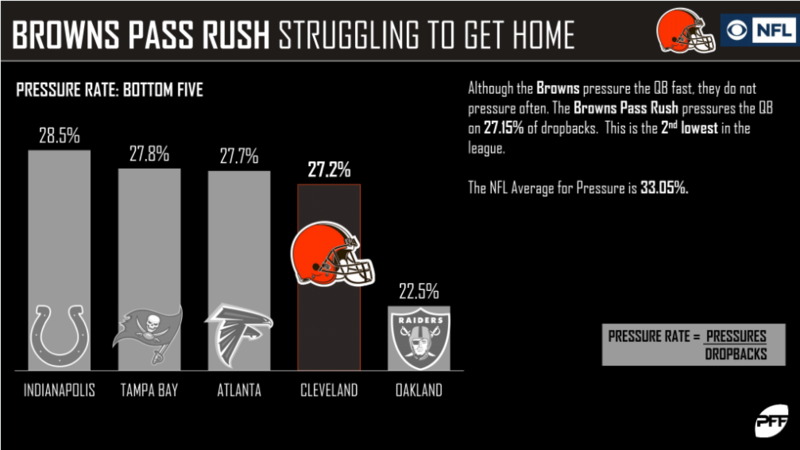 The Browns’ pass-rush has struggled this season outside of standout defensive end Myles Garrett. 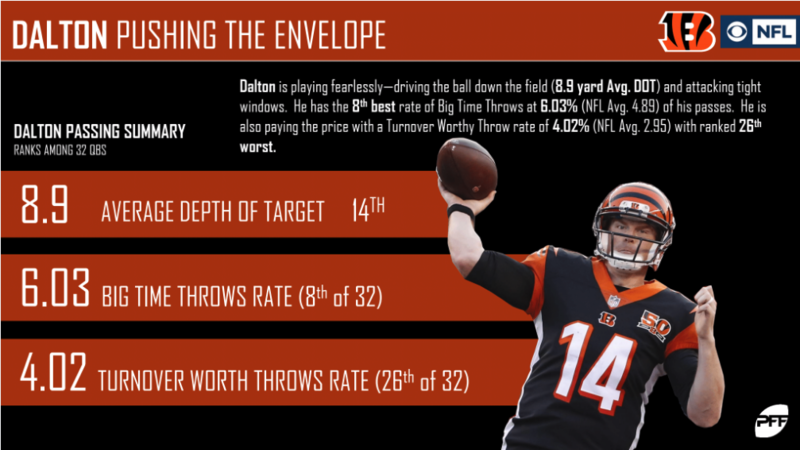 Andy Dalton has taken a high-risk, high-reward approach to the season and his numbers reflect that. 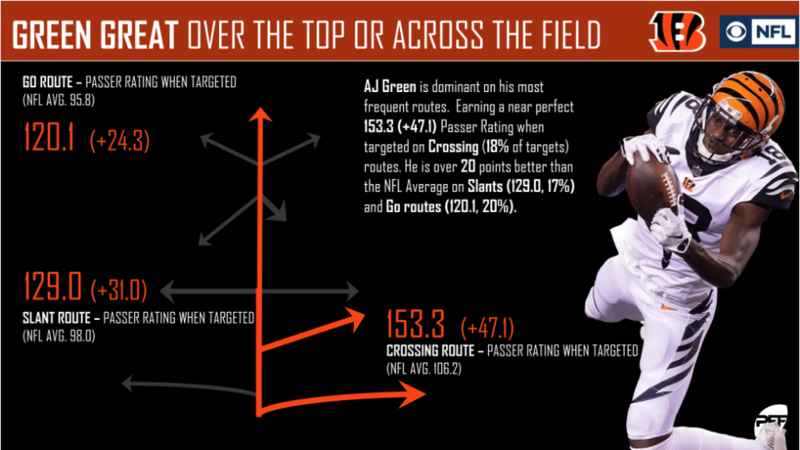 The Bengals offense has sorely missed A.J. Green in the last few games. 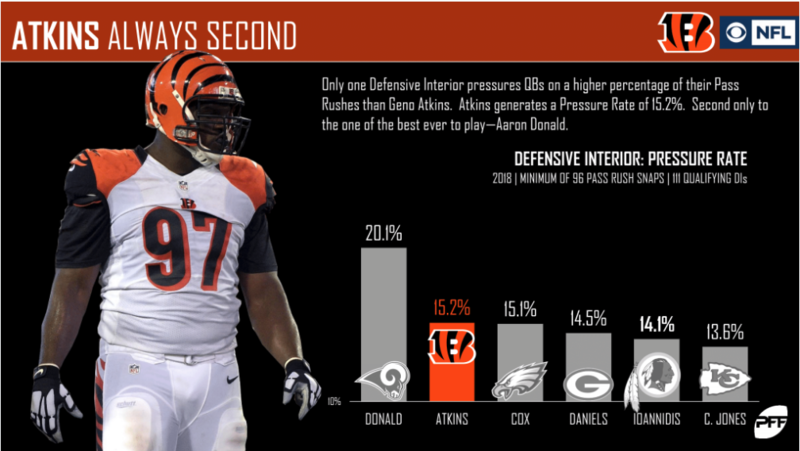 Geno Atkins has been his usual, dominant self for the Bengals this year. The veteran interior defender’s 86.9 grade and 84.0 pass-rushing grade are both inside the top-ten among his position. The Bengals have their own impressive rookie in second-round pick Jessie Bates. The rookie safety has produced an 83.2 overall grade (fourth), 81.0 run-defense grade (fourth), and an 80.8 coverage grade (seventh). 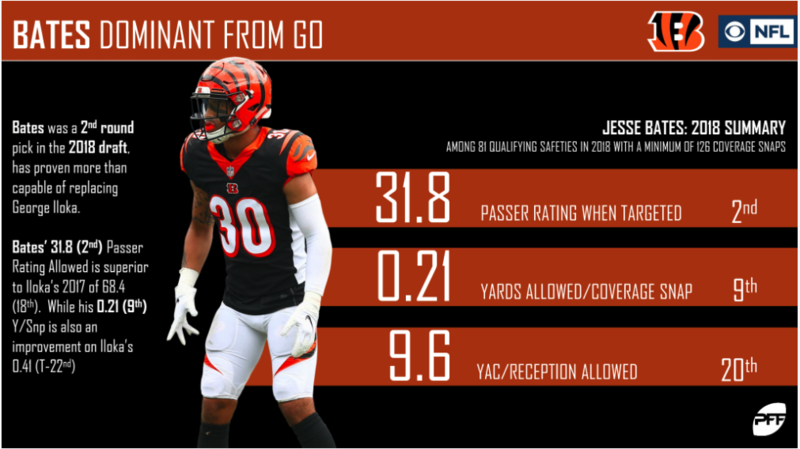 PFF Greenline has projections for the spread, moneyline and over/under of the Browns’ matchup with the Bengals. Get its picks here.